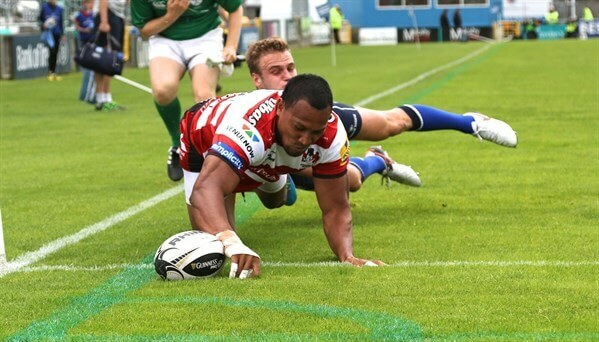 Leading finance and back office provider to the recruitment industry, Simplicity have been unveiled as new kit sponsors of Gloucester Rugby for the Aviva Premiership season 2016/17. The partnership is a significant step up for the Mitcheldean-based company, which provides outsourced back office and financial solutions to the UK recruitment industry. 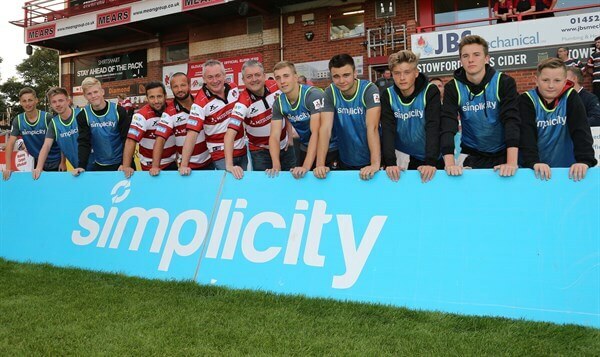 For the past two seasons Simplicity have sponsored Gloucester’s ball boys and will continue to do so in addition to becoming new kit sponsors for the forthcoming season. David Thornhill, Managing Director of Simplicity, said: “Gloucester is one of the strongest rugby brands in Europe, and to be associated with them – in any capacity – is a privilege. Mr Thornhill said that there are obvious and genuine synergies between the club and Simplicity. He added: “We each operate in a highly competitive environment that is seeing more and more operators fishing in the same pool – each vying to find and attract the best talent available. The deal sees the Simplicity logo emblazoned on the sleeves of Gloucester Rugby shirts for the 2016/17 season, which kicked off on Friday 2nd September. Alongside Simplicity as new kit sponsors will be Volvic and Venue Now, with the new kit now on general sale at the Gloucester Rugby Megastore.